A No-Cook Birthday Dinner that Even a Mother Will Love | Who's Cooking for Kacey? Sometimes my mom will even let me do a little something for her…when she doesn’t know about it AND it’s a complete surprise AND she’s distracted because she’s putting on a garage sale the next day. Here’s a quick no-cook meal I was able to put together courtesy of Whole Foods. I would not be able to put together a dinner without them. Okay, fine and Danny sliced the salmon and cheese for me. 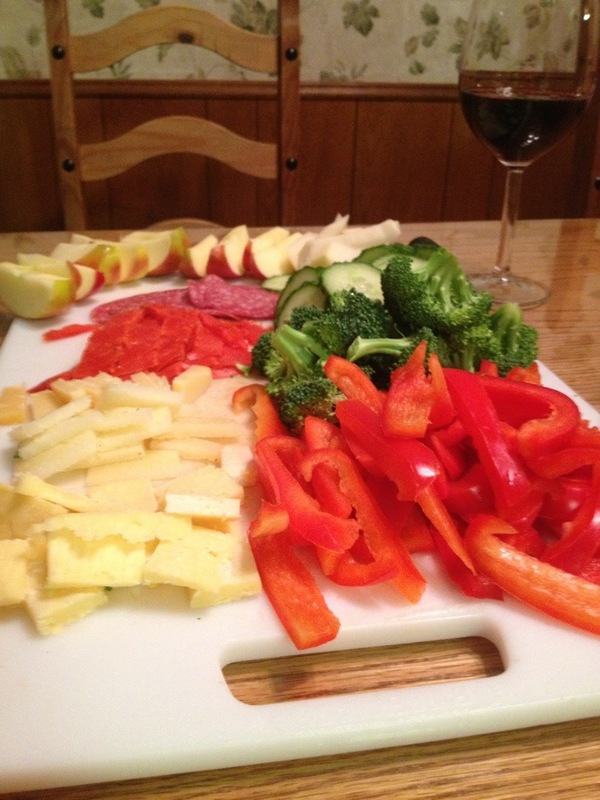 -Smoked salmon, Applegate Salami, Robusto, Manchego, and Cheddar cheeses, English cucumbers, broccoli, red peppers, pears, and apples…just add gluten-free crackers for a completely gluten-free meal. 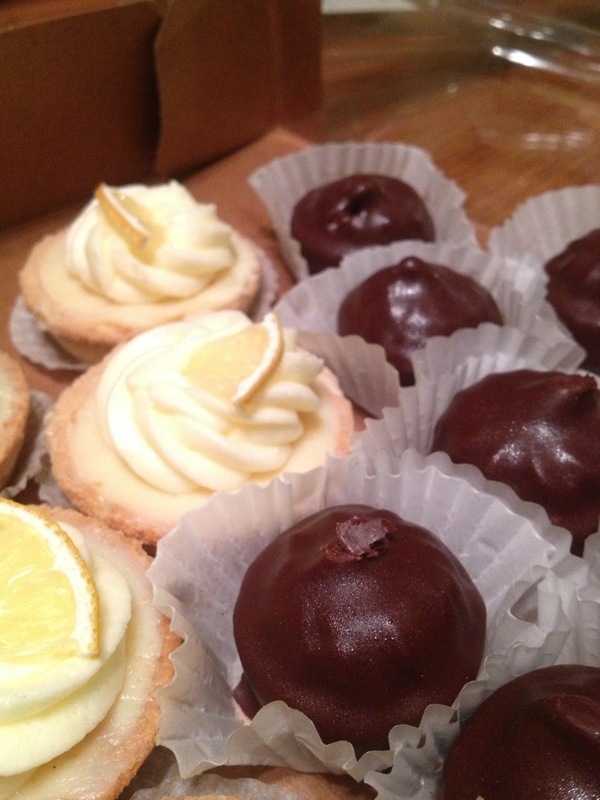 -Chocolate flour less cake and lemon tarts from Whole Foods bakery. These two items are crowd pleasers! Serve them up together and chocolate lovers and non-chocolate lovers alike will thank you. The chocolate flour less cake is coated in hard chocolate and the inside is similar to a truffle. My 11 year old sister, KaLynn (#8), could not get enough of the lemon tarts. Apparently these are not too tart for kids. You can get a baker’s dozen of these tiny dessert in any combination for just under $15. 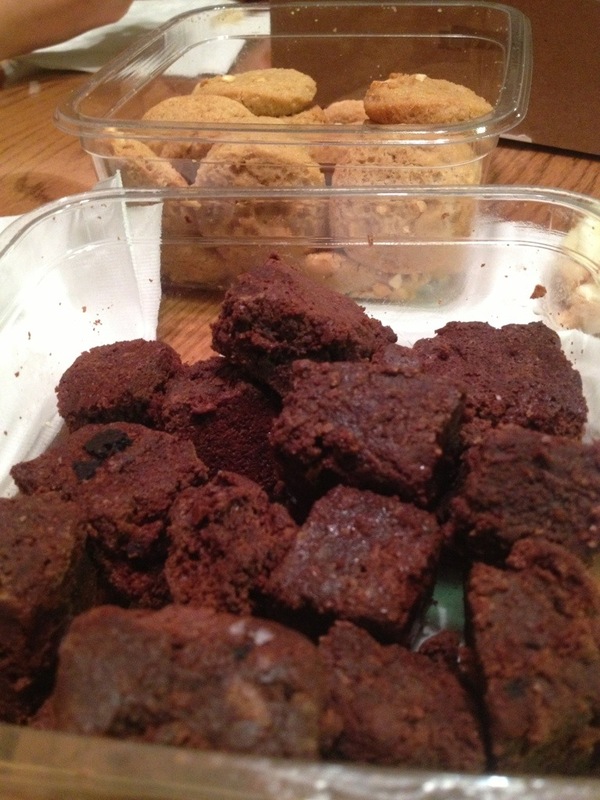 -Gluten-free brownies and peanut butter cookies from the gluten-free freezer section at Whole Foods. Thanks, Kristin, for turning me on to these two delicacies. My favorite are the chewy peanut butter cookies. Whole Foods makes it easy to serve up an impressive meal with NO COOKING! Sure, it may cost you, but what it saved me in time and confusion in the kitchen is most definitely worth it! Happy Birthday to my biggest fan! 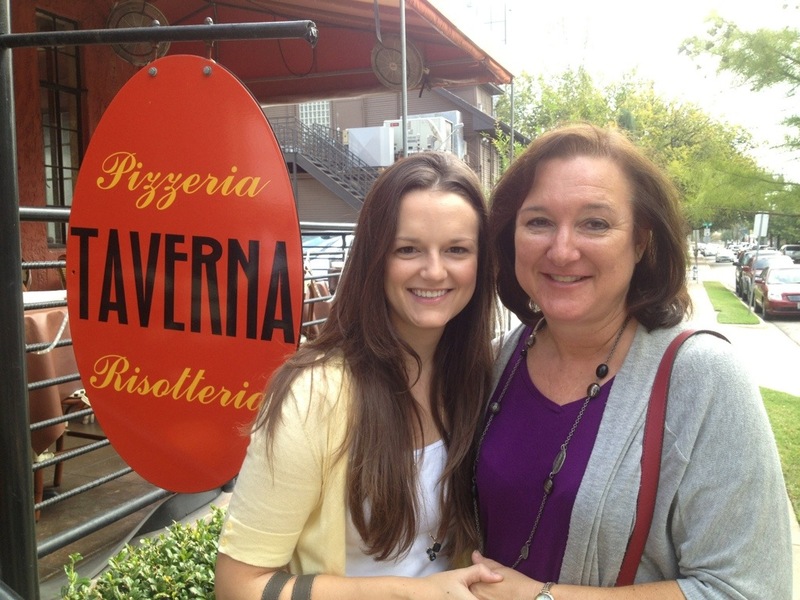 I’m so glad I’ve been able to celebrate your birthday with you, Mom. Hope you have a wonderful day. a regular basis, if so then you will definitely get good experience. using? I’m experiencing some minor security issues with my latest website and I’d like to find something more safe. site with us so I came to look it over. I’m definitely loving the information. I’m book-marking and will be tweeting this to my followers!